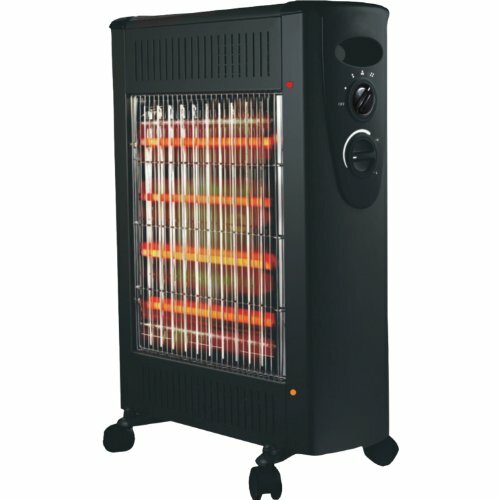 The Optimus Quartz and convection Radiant Heater is a great money-saving alternative to heating the entire home. The unit features four heat settings--375, 750, 1125 and 1500 watts, plus automatic therrmostat control. Features power indicator light, large wheel base for easier movement and portability, and the unit features a ecessed carrying handle and convenient cord storage. The quartz and convection radiant heater is constructed of heavy gauge sheet metal cabinet and carries a one-year limited warranty. If you have any questions about this product by Optimus, contact us by completing and submitting the form below. If you are looking for a specif part number, please include it with your message.